Antlers at Vail offers girls' trips, grandparents discounts, and more. Sip mimosas in a suite with an intimate view of the mountains and then relax in a hot tub directly on bubbling Gore Creek. Head out on a zipline adventure or a guided hike with your girlfriends. And capture it all on complementary GoPro cameras to share with your friends back home. 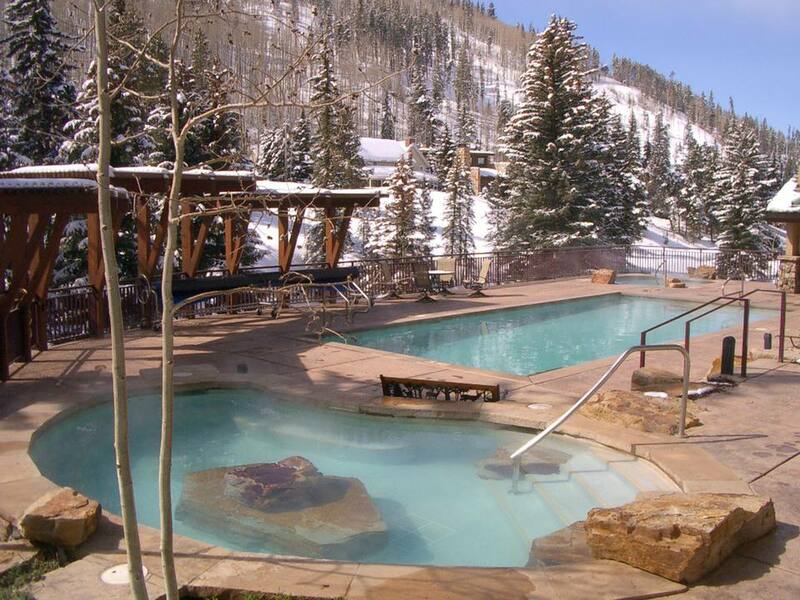 Whether you’re planning a bachelorette party, reunion or just a girls’ trip to the mountains, Vail has you covered. That’s just a taste of the new You Go(Pro) Girl package, offered by Antlers at Vail. Antlers is known for ever-revolving specials and packages — often as unique as its standard amenities; here, guests get complimentary snowshoes, hundreds of movies, sleds, bikes, an espresso machine and guided fly fishing, hiking or skiing. In a ski resort town like Vail, with extremely high standards and plenty of top-rated options to choose from, it can be hard to stand out. From a traveler’s perspective, it can be hard to make a choice, when every choice is great. But Antlers continually rises to the forefront of even Vail, for its unusual services, as well as an above-and-beyond level of customer service. Ask to check out late on a Sunday so you can hit up the Farmer’s Market and miss the congested I-70 traffic down the canyon. Or borrow a GoPro to capture your adventures, with or without the special girls’ trip package. Don’t feel like making coffee in the morning? The lobby is always stocked with a free coffee and tea bar. Antlers is a Platinum-level rated (that’s the highest) hotel in Vail, with a long list of other awards, including GreenLeader status for its environmentally friendly efforts. Guests stay in private, fully equipped condos, with a fireplace, balcony and free parking (that’s a prized amenity in Vail). It’s located on the edge of the Lionshead Village, a quick walk to the ice-skating rink and many shops in the walking area. It’s situated right on the banks of Gore Creek, with one of the best mountain views in the entire town. Antlers launched its special girls’ getaway package, after the success of Vail’s new emphasis on women’s skiing offerings. Antlers’ packages include a room for two days and three nights, zipline adventure through Zip Adventures, a half day of guided hiking or fly fishing, cruiser bikes, passes to the Vail Athletic Club at the Vitality Center, mimosas and access to a GoPro camera. Catch this deal between Aug. 15 and Sept. 30 for $386 per person, based on a four-person occupancy. There’s a man-cation version of this, too, called Bikes, Brats and Beer. Stay tuned later this spring and summer for more details. GoPro Mountain Games, June 9-12: Look for 20 percent off one to two nights, 30 percent off three-night stays and 40 percent off four-night stays during the GoPro Mountain Games. Plus, get a free GoPro rental and harness. Antlers also hosts the celebrity skateboarding bulldog, Floyd. Outside Adventure Film School, June 8-14: Antlers will host this annual event, including public screenings of films. In honor of the school, Antlers is running a contest, Antlers Goes GoPro, a film contest. Winner gets a free night’s stay at the hotel. Bravo! Vail, June 23-Aug. 6: Find lodging specials, in honor of this event that features the New York Philharmonic, Philadelphia Orchestra, and Dallas Symphony Orchestra. Ask about the special Bravo package: a lawn picnic and behind-the-scenes peek at the event. Vail Summer Bluegrass, June 29-July 20: Ask about specials, in honor of the new Vail Summer Bluegrass, whose Wednesday evening shows are just steps from Antlers’ property. Parents Not Allowed: This summer, Antlers is offering a grandparents’ discount: an additional 5 percent off for grandparents throughout this summer on any suite. Ask Antlers to arrange a fun grandkids-grandparents’ outing, too, from “lunch with a llama” hiking to a picnic dinner at a concert. Summer discounts: Throughout the summer, you can find specials at Antlers. The best deal is now through May 31, get 30 percent off. Get 20 percent off from June 1 through June 30 and again Aug. 15 through Sept. 30. The 30 percent off returns again Oct. 1-Nov. 17, before ski season kicks off and regular rates apply. Check guest reviews and prices for Antlers at Vail here.